Spinach is an easily available, economical and highly nutritious green leafy vegetable. This vegetable is packed with vital minerals, vitamins, pigments and phytonutrients which contribute to make it a healthy option. Its beta-carotene, lutein and xanthene contents are all beneficial for the eyes. Its anti-inflammatory properties prevent itchy eyes, puffiness, irritation and eye ulcers. Spinach prevents age related conditions like glaucoma and macular degeneration caused by free radicals. It reduces harmful effects that negatively impact your vision and prevents vitamin A deficiencies. 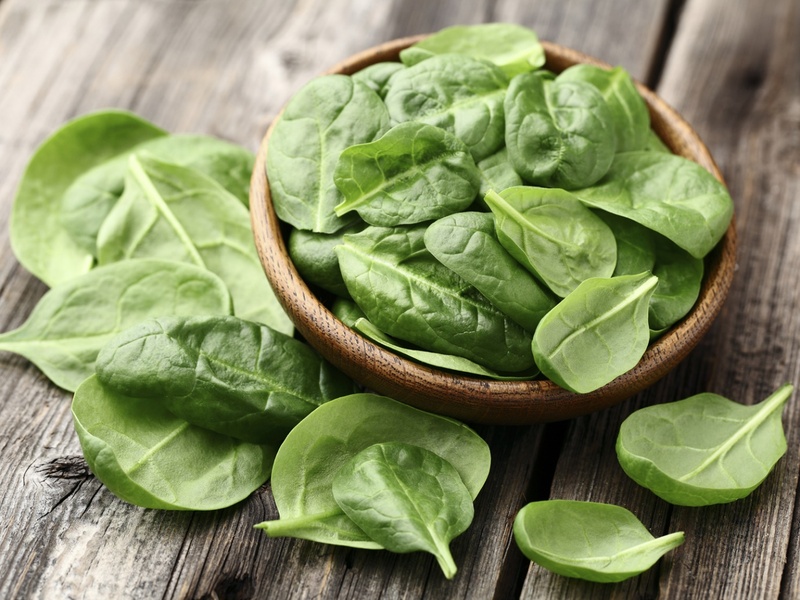 Components like potassium, folate and other antioxidants present in spinach improve brain health, cognition, concentration and other brain activities. High potassium and low sodium levels helping in maintaining blood pressure. Potassium reduces blood pressure and the folate present reduces hypertension and relaxes blood vessels thus reducing stress levels. Spinach strengthens muscles especially the heart muscles that pump blood. This is done by a factor called C0-Q10 which prevents heart failure, hypertension and coronary heart diseases. It has high mineral content which helps in building strong bones and maintaining healthy teeth and nails. The vitamin K content helps in retaining calcium ensuring bone mineralization. Lutein and zeaxanthin content protect the eyes form harmful UV rays, preventing cataracts. It boosts metabolism levels and improves organ functions to ensure they function at optimal levels. It protects the membrane lining the stomach reducing gastric ulcers and the pigment lutein present in spinach reduces risk of atherosclerosis, heart attacks and strokes. The folate and Vitamin A in spinach is beneficial for pregnant women as it ensures proper development of foetus and aids in breastfeeding. It is also beneficial for the skin as it protects it form harmful UV rays and repairs damaged skin.